Did you know there is a World Record that exists for QR codes? Carved in a wheat field in China, the World’s Largest QR Code measures 36100 square meters based on the Guinness World Record data. While a QR code that huge might seem entirely deviated from the original functionality of QR codes, it does explain the extent of potential entrusted with a QR code. QR codes when rightly synchronized with the marketing efforts can help expand your organization from a relatively unknown small business to a thriving one. The significance of QR codes has been time and again proven by brands that are using it right! Creating a functional QR code for small businesses does not require a large wheat field or any intricate efforts; all you need is to make a couple of right choices and execute them. The key to creating a successful QR code campaign is to find the right QR code generator. The right QR code generator is the one that will allow you to create free QR codes that you can use forever. Choosing a QR code generator like Beaconstac with an intuitive platform to instantly set up your QR code campaigns is helpful. Turning to a ready-to-use platform for generating free QR codes makes things more comfortable as they do not require you to have prior coding knowledge. Generate free static QR codes for your small business with Beaconstac’s QR code generator. Once the QR code is generated using the chosen QR code generator, businesses then need to decide what would be the content linked to the QR code. Here are some examples of the content that SMBs could utilize to connect with the QR codes based on the type of business. Business consultancy: Add QR codes to Business cards and effortlessly share contact information. E-commerce: Drive traffic to your store page by linking QR codes with your business website. Beauty & Lifestyle: Link your QR codes to ‘how-to-videos’ that help customers understand your product better. Real-estate: Connect QR codes with an image gallery of the properties for sale. Publishing house: Use QR codes that connect to a pdf of a book sample. Beaconstac provides both static and dynamic QR codes based on your requirement for scheduling single or multiple campaigns. Buy the QR code marketing solution for your business. A QR code is no longer all black and white. Businesses can design and customize QR codes based on their specific requirements. Beaconstac provides you the option of changing the color of your QR code’s background and foreground based on the theme and color scale of your campaign or business. You can also include business logos in your QR code design. When it comes to customization of QR code designs, the only limit is the extent of your imagination. Businesses can choose to print these QR codes on any marketing material that is best suited for the category of business. Keeping track of your QR code scans is an excellent way of defining success or failure of your QR code campaigns. For businesses with QR codes printed on different marketing materials, tracking scans of each QR code help to identify and rank the marketing tools from most to least effective thereby to optimize the results obtained. Following are some fantastic uses of QR codes that can apply to almost all small businesses irrespective of the categories to which they belong. Incorporating QR codes with giveaways and freebies is an effective way for small businesses to increase loyalty card subscribers. Giving away a few samples of your product and offering access to member-exclusive discounts and freebies are useful in building a loyal customer base. If you are a small business that has newly launched your app, placing QR code embedded posters on display windows and storefront is a brilliant way of creating awareness and boosting app downloads. Posters like these can create visibility for your social media presence and enhance the number of likes, shares, and followers for your business profile pages on social media platforms like Facebook and Instagram. If you have a newly opened outlet that customers are not quite aware of, you can help customers navigate to your store by linking QR codes to your location on Google maps. Placing such QR code embedded billboards on busy high ways and densely populated areas can boost your in-store traffic. If your business has just started picking up, you should be looking at considering customer feedback that would help you improve. QR codes can help you gain valuable customer feedback if you link them to customer feedback forms and deploy them on the customer purchase invoice receipts and product labels. Here are 15 QR code examples from brands that are killing it! It is always important to give your customers a valid reason to scan a QR code. Incorporating a catchy phrase as a call to action with your QR code is the way to persuade customers to scan them. For your QR code initiatives to work, always ensure that the QR codes are scannable. A QR code that is too big or too small for a smartphone to detect is just a wastage of time and money that SMBs cannot afford. Another important aspect that you cannot afford to ignore is the positioning of your QR code campaigns. Place your QR codes where it is easy for people to see and scan them. 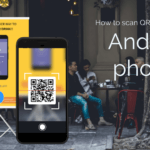 Spending some time to verify the design and functioning of your QR code is an important step to take that will help you avoid mistakes that might result in poor customer experience. Including something useful and engaging to reward those customers who take time to scan your QR codes is an excellent way of influencing them to scan the next time. 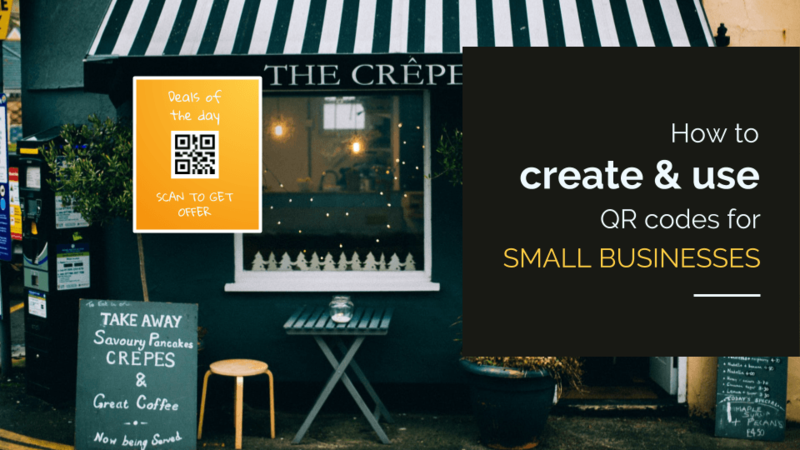 Want to create free QR codes for your small business? Explore Beaconstac’s QR code marketing platform or talk to our proximity marketing expert who can guide you!